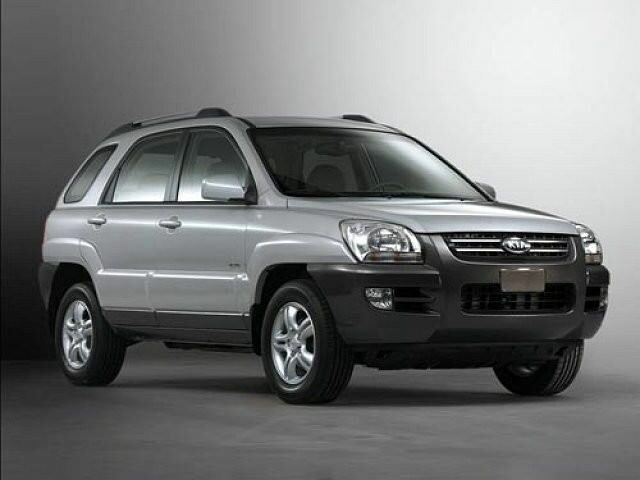 The 2005 Kia Sportage signalled the Korean firm's growth in Europe and, though somewhat unconventionally styled, it gained a good deal of praise. The 2005 Kia Sportage signalled the Korean firm's growth in Europe and, though somewhat unconventionally styled, it gained a good deal of praise. Particularly as its predecessor was entirely forgettable and unremarkable to drive. Based on the same underpinnings as Hyundai’s Tucson, but cheaper still, the Sportage was an affordable, useful and enjoyable to drive SUV new - and remains so on the used marketplace. With only small market penetration Kia’s Sportage was never offered in many guises through its five-year production run. The engine line-up consisted of a 2.0-litre petrol engine with 142hp, a 2.0-litre common-rail turbodiesel unit with 140hp and, in some markets, a 2.7-litre V6 petrol with 175hp. You’ll not find that V6 in Ireland, though that’s no bad thing given its running costs. The 2.0-litre petrol engine with 142hp takes the majority of the market here, with either front- or four-wheel drive offered. There’s an automatic option, but the manual gearbox is more common. Trim choices include EX, GS and GSE, while a commercial version is also available to buyers. The Sportage might be a tall SUV, but its ride and handling do partially live up to its sporting name - Kia’s smallest SUV is actually quite an enjoyable drive. The interior betrays Kia’s budget origins, with plastics that, while robust, are on the shiny side. The single slot DIN for the stereo also underlines the Kia’s advancing years, though that’s true of its contemporaries too. Space inside is good, the boot generously sized and the split-fold seats when down offer 1887 litres of luggage volume. The split tailgate is a useful feature, too. The 2.0-litre petrol engine isn’t hugely quick and loses the mid-range urgency of its diesel alternative, but keep the revs down and it's smooth enough. Economy is acceptable rather than spectacular with an official combined consumption figure of 8.2 litres/100km. Choice is pretty limited unless you’re after a 2.0-litre petrol Sportage so that’s what we’ll recommend here. Trim choice depends on your budget, but as with all Korean cars you can expect even the lowest specification to beat European rivals on the equipment count. Four-wheel drive models are only necessary if you actually need it; otherwise the petrol model is more efficient in two-wheel drive guise. • Indicator stalk on the right! The Sportage is a capable, enjoyable and practical SUV that was a good-value purchase new and makes a sensible used buy. Choice is limited, but the 2.0-litre petrol unit is a fine engine and the rare turbodiesel isn’t known for being overly economical anyway. Only odd looks and a rather old-school feel to the interior let it down. But if you’re not fussed by such things the Kia Sportage is well worth consideration.